 Residents of Findlay already knew it, but now it has been made official – Findlay has been named as an Ohio Magazine’s Best Hometown 2018-2019! Read the November issue article about Findlay here! Ohio Magazine chose Findlay as one of its 13th annual Best Hometowns because of its strong business environment, welcoming sense of community and thriving downtown. To determine the honorees, Ohio Magazine solicited nominations and conducted site visits across the state. The editors evaluated the nominees in six categories — Community Spirit, Education, Entertainment, Health and Safety, Business Environment and Culture and Heritage — to help finalize their selections. Findlay had previously been named an Ohio Magazine’s Best Hometown in 2012-2013. As part of Ohio Magazine’s site visit in June, Visit Findlay took representatives from the magazine to various locations that showcased our community in each evaluated category. Among the activities and locations visited, they were given a sneak peek of the then-unopened Findlay Brewing Company, a tour of Downtown Findlay to meet local business owners, a visit to the Miracle Park of Findlay in anticipation of the upcoming Miracle League All Star Weekend, as well as visits to Mazza Museum, Northwest Ohio Railroad Preservation, Inc., and Hancock Historical Museum. Make sure to pick up the November issue of Ohio Magazine, which will be on newsstands by Nov. 3. Subscriptions purchased by Oct. 1 will begin with the November issue. See more information, as well as the other four communities named as one of Ohio Magazine’s Best Hometowns for 2018-2019, at ohiomagazine.com/besthometowns. The November issue can also be picked up at the Visit Findlay Welcome Center!